The announcement that the Dungavel Immigration Removal Centre, near Strathaven in South Lanarkshire, will close permanently next year was met with a muted reception by refugee rights campaigners. 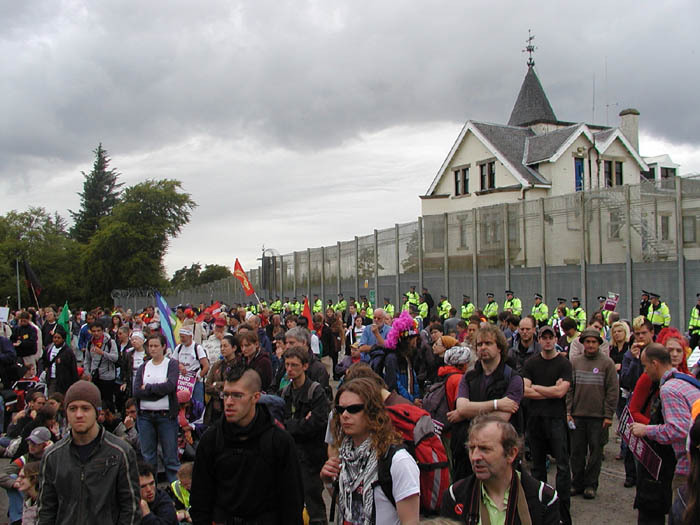 The former hunting lodge has been a near constant focus of protest since it opened as a Home Office holding facility in 2001, not least during the time when families and children were subject to unlimited detention in the facility. The centre is lucratively maintained by US firm GEO and, more recently, it emerged that detainees are being paid as little as £1 per hour to carry out upkeep of the facility. Although Dungavel has been strongly criticised, the announcement of its closure was met with some scepticism by organisations working with refugees and asylum seekers. Not only will its closure potentially isolate detainees from their support networks in Scotland, it may create problems for those already within the Scottish legal system, as they face being transferred to England with its separate court system. 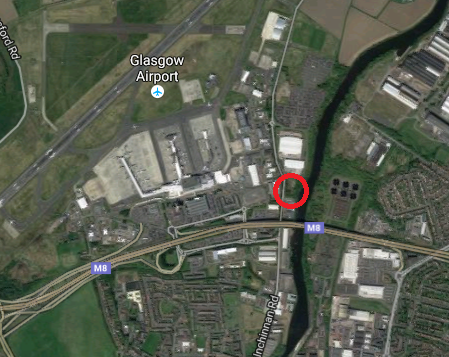 Now, we can reveal plans for Scotland’s replacement immigration holding facility, which will be located on a derelict site near Glasgow Airport and bounded by a 3.6 metre high fence. It will comprise 20 bedrooms with a mix of single, double and four person rooms, totalling 51 beds. Two bedrooms will be “for families”, seemingly contradicting current UK Government policy which – since 2010 – has not held children in detention in Scotland. Planning documents submitted to Renfrewshire Council ominously promise that “although restricted, the occupants will have a true sense of day of night”. A small exercise yard will be located outside. The planning submissions by the developer – acting on behalf of the Home Office – also argue that the centre will bring economic benefits to the area, with 60 permanent jobs “likely to be created”. The application is currently under consideration by Renfrewshire Council and objections can be submitted on their planning portal here. A new in-depth report from Detention Action explores alternatives to detention, available here (pdf). ← Are you ready for “Iconic Leisure Resort Loch Lomond”?